The all-new, all-ages, all-action fun continues! 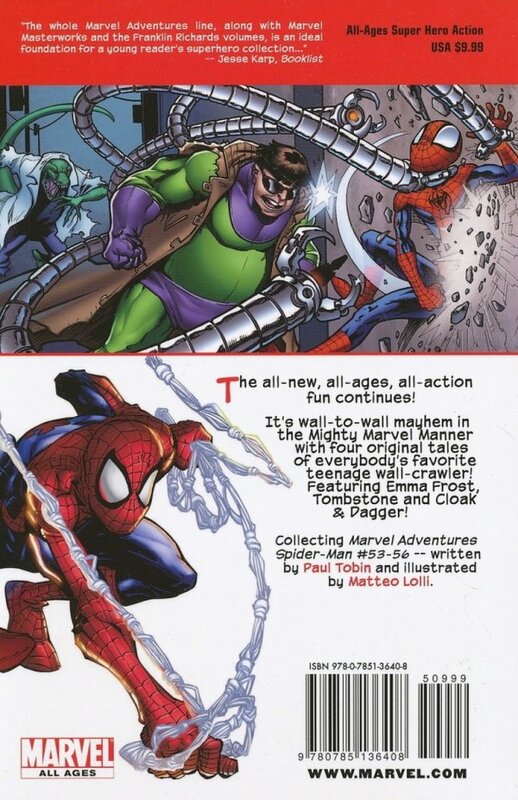 It's wall-to-wall mayhem in the Mighty Marvel Manner with four original tales of everybody's favorite teenage wall-crawler! Featuring Emma Frost, Tombstone and Cloak & Dagger!